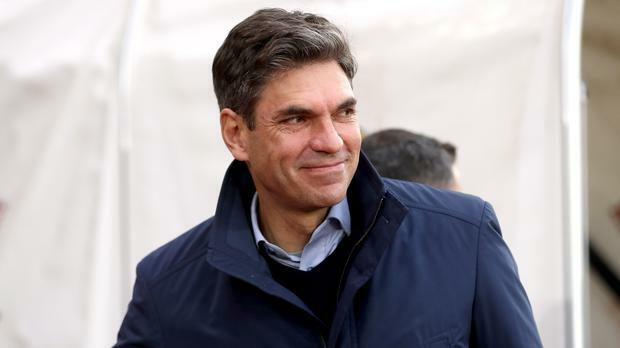 Mauricio Pellegrino is unconcerned by Southampton's slide down the Premier League table knowing there is still time to reverse their deteriorating form. Fans booed the team after the 5-2 Boxing Day collapse before Tottenham at Wembley and Saints have not won since November 26, the intervening seven games marred by four defeats. Manchester United await at Old Trafford on Saturday and while under-pressure Pellegrino understands the supporters' frustrations, he insists there is plenty of opportunity left to climb away from the relegation zone. "Everybody that works at the top level works under the opinion of everybody. I respect those opinions and I have the same feeling as the fans," Pellegrino said. "I'm not happy when we don't play well and I would like to keep the people proud of our team. "But almost 50 per cent of the Premier League is ahead and we still have time to bounce back and show another side. "For sure we can turn this around. Spurs played well and we were really poor defensively. When you're poor defensively, they (opponents) look more than normal. "For this reason we have to come back to simple principles and come back in our performance." "Manchester United are a powerful team, but we are in the moment that we have to think more about us and what we have to do on the pitch. This is our reality and can't talk about the other teams. "Even for Manchester United it is difficult to win many games in a row because the Premier League is really competitive. Everybody is suffering this." Southampton are without Virgil van Dijk for the journey north following his £75million transfer to Liverpool and are also missing Charlie Austin for at least two months. Austin, who is also serving a three-match ban for violent conduct, has been ruled out for an extended period because of a hamstring problem. "Charlie will be out more than normal. He will have another test to analyse a little bit better his injury, the grade of his injury," Pellegrino said. "We will see but I expect Charlie will be out for a couple of months minimum. It's a big pity because Charlie was in a really good moment." Kevin Palmer Liverpool and Tottenham are set for a huge financial windfall after they made progress into the Champions League semi-finals with contrasting victories on Wednesday night. Mark Staniforth Leading Premier League stars have backed a 24-hour social media boycott in protest at an escalation of incidents of racial abuse online.